We believe it shouldn't be hard to find replacement parts for anything. 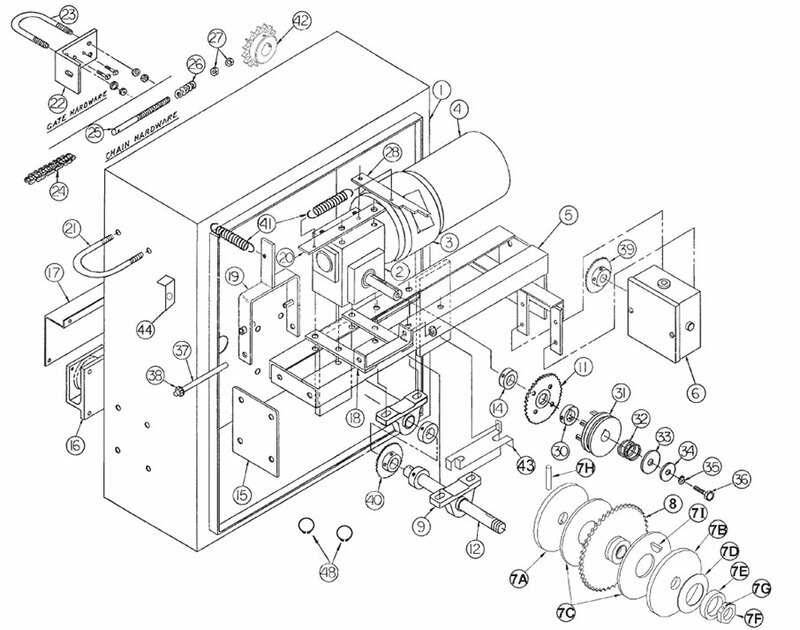 Below we've included a parts diagram for the GSLG-A slide gate operator, followed by links to every available replacement part. We also have similar pages available for both GSLG-A single phase gate controller replacement parts and GSLG-A three phase gate controller replacement parts as well a Linear part finder for every other gate operator. Simply click on your desired part below to be taken to the products page. Some parts have multiple options available for them. For help selecting the right part, our friendly sales staff is available toll free at (800) 878-7829.